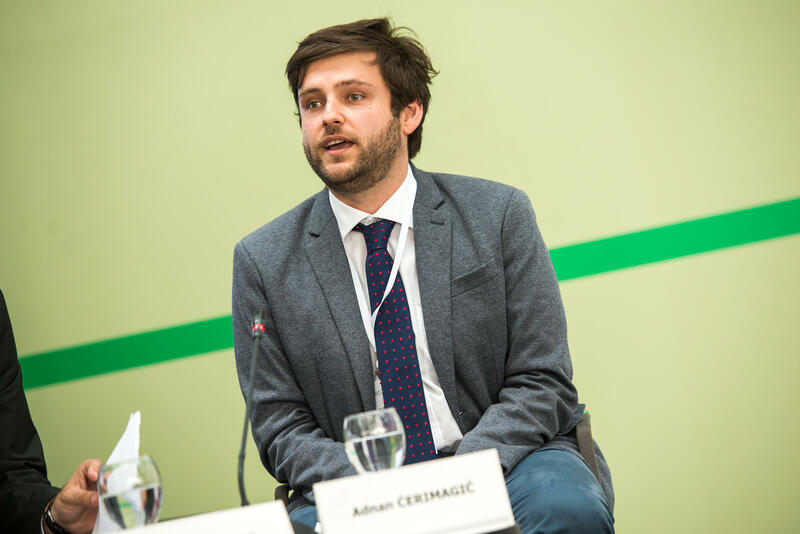 Adnan Ćerimagić (Bosnia and Herzegovina) works as an Analyst for Berlin based think tank European Stability Initiative (ESI) since January 2015. Before joining ESI team in August 2013, Adnan worked in the Ministry of Foreign Affairs of Bosnia and Herzegovina in Sarajevo and Brussels. He also did a traineeship in the Secretariat of the European Parliament’s Foreign Affairs Committee and worked at the European Training and Research Centre for Human Rights and Democracy (ETC) in Graz. He studied law at the University of Graz and EU international relations and diplomacy at the College of Europe in Bruges. At ESI, he is researching EU enlargement policy, the Western Balkans’ EU integration process and Turkey.